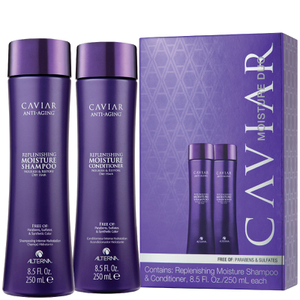 Alterna’s Caviar Anti-Aging Replenishing Moisture Conditioner provides hydration to moisture-starved hair and protects from future damage. This hydrating, sulfate and paraben free conditioner restores moisture while protecting hair from color fade, daily stresses & future damage. Expensive, but worth every dollar. I really value the condition of my hair and this is the best product I have found. I have fine, blonde hair and it does not weigh my hair down. 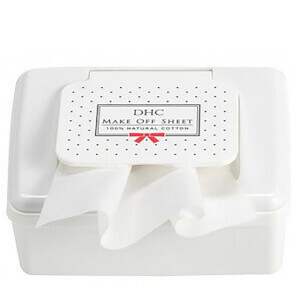 It leaves a great shine and I get a great blow out after using it. 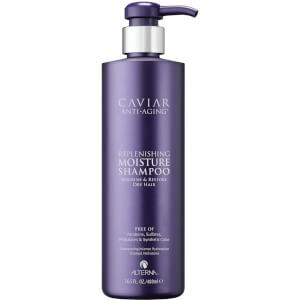 My hair tends to be drier after a perm, and usually it takes a day after washing for my hair to soften up, stop feeling like hay, and have a shine, but this conditioner offers enough moisture to get the second-day hair. If you get the large size it's actually not that expensive compared to a lot of hair products out there.